As you start getting more into disc golf, your arsenal of discs is likely to continue to grow. This makes a lot of sense; the better you get, the more likely you are to value the specializations of different disks. Some of the best disc-golfers I know people play with up to 15 discs at a time! When that happens, you can’t realistically carry your discs through the course by hand anymore; it’s time to invest in a bag. First let’s take a look at the top rated disc golf bags, then we’ll talk about how to choose the right one for you in our buying guide below. Features: Deep top zippered pocket plus 2 side pockets. D-Ring for towels and large internal insulated compartment 2 zippered pockets plus large center one. Okay, let’s get to the good part—the individual product reviews! 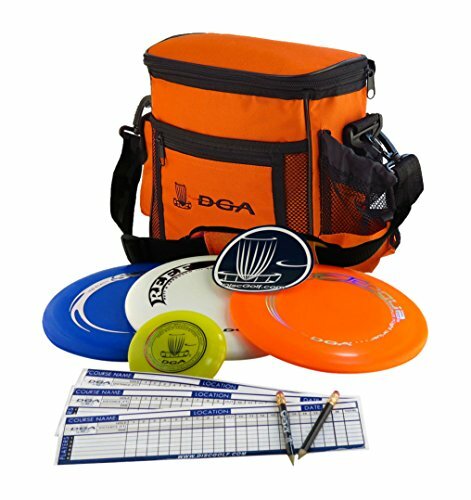 Below are five disc golf bags. I’ll tell you a little about them and give you some of their pros and cons. This disc golf backpack has a large carrying capacity—up to 18 discs, which is probably more than you’ll ever need. 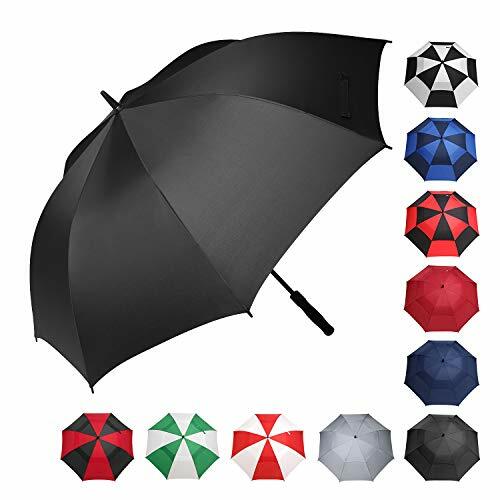 Additionally, there’s a lot of storage room for a raincoat or anything else you might need for a day of golf. Naturally, it’s rather large, measuring 19” by 11” by 9”. It has a pocket for beverages that is big enough to hold a 32-ounce Nalgene bottle (great for hitting the course with a friend). There’s also two other side pockets where you can store keys, wallets and other valuables. Plus a zippered pocket on top where you can keep your most used discs. This bag is a great starter for someone looking to upgrade to a backpack from a shoulder strap bag. It’s affordable, stable, and large enough to bring anything you might need with you. Playing with a spacious bag like this makes a big difference in the level of creature comforts available to you as you play. In my opinion this is the best disc golf bag under $50. This bag is for the disc golfer who wants to have it all—or already does. At the largest carrying capacity of any bags I’ve reviewed here, this bag can fit a whopping 16+ discs. The Throwback Disc Golf Bag is designed to be very light, which is good, considering how much it can hold. It has five pockets for storing disks: one large insulated main pocket and four external, stretchable pockets that can each fit at least two discs. The bag is designed for all day play and warm weather, the large insulated main compartment can easily hold a 6 pack of your favorite beverage with some ice thrown in to keep it cold all day. Nevertheless, this bag is capable of doing a lot. It’s slightly pricey, but it’s the best disc golf backpack. Its price is high enough that I wouldn’t recommend it for a casual player. In order to justify this purchase, you’d need to be out on the course pretty often. 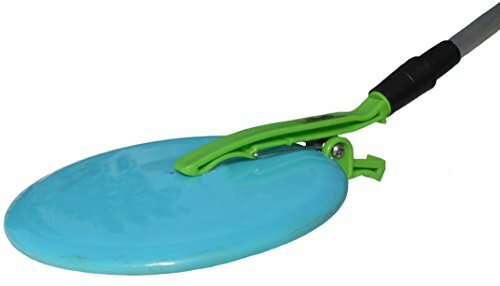 This disc golf bag can carry up to 15 discs at a time. At a mere 20 ounces, it’s super lightweight and convenient for play. 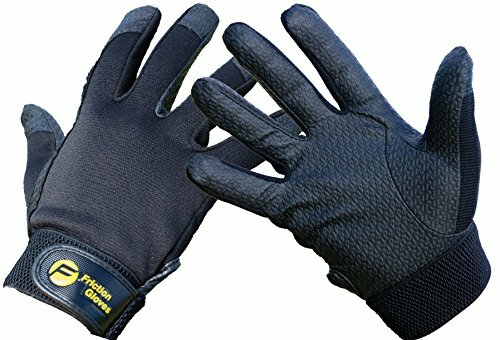 It comes in a variety of colors and is made from durable 600-D polyester canvas, so it’s decently waterproof. The Fade Crunch Box is aptly named; it really looks very similar to a lunchbox or cooler. The bottom is made to be extra stiff and has four small feet to stabilize the bag so it doesn’t fall over. It comes with a relatively large one-liter, insulated drink pocket. Like all Fade Crunch products, the Box comes with a one-year no-fault warranty. Other cool features of this bag are a two-putter pocket on the outside for quick accessibility; a high-end adjustable shoulder strap; a separate pocket for scorecards; and a secure pocket that stores keys and other valuables. This is really a cool little bag. It’s lightweight and comfortable. 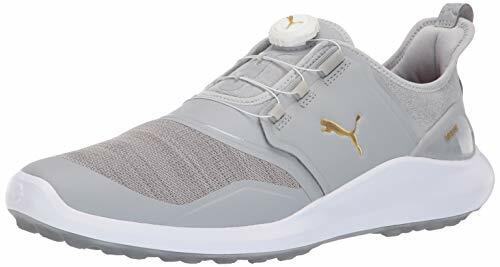 Importantly, it’s also on the cheaper end of the bags in this review—perfect for someone who likes disc golf, but isn’t a fanatic or anything. If you looking for the best disc golf bag for the money, the Fade Crunch is your best bet. Honestly, you should buy this bag just for the company’s name. Okay, I’m kidding. The truth is there are plenty of other reasons to want to buy this bag. First of all, it’s made from an extremely high quality fabric—cannonball canvas. It—and in fact, all NutSac bags—comes with a lifetime warranty, so you know it’s the real deal. The theme of the NutSac Disc Golf bag is minimalism. It fits six to eight discs, which, the company contends, is all you really need anyway (personally, I find this to be the case). There is an attachment for a water bottle, but it’s sold separately. Other than that, there’s nothing to see here except an extremely high quality shoulder strap bag. 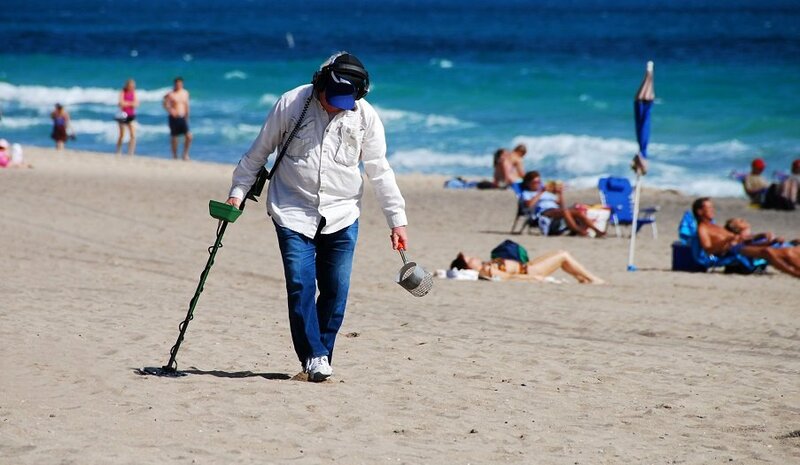 Small carrying space—if you play with a large array of disks, you don’t want to use this bag. The price is definitely great, especially considering the quality and the lifetime guarantee. All NutSac bags are made in the United States of America. We’ve reached the last bag in our review. 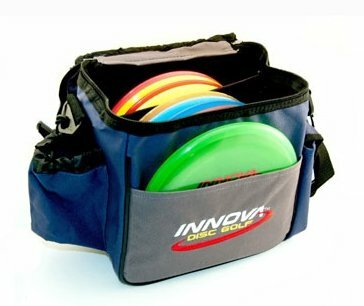 Innova’s Standard bag is designed for people who want to take a medium amount of discs with them but still like to travel light. The Standard bag is capable of fitting up to 12 disks with room for accessories. It’s water resistant, comes with an adjustable shoulder strap, and has a reinforced bottom for added stability. The pocket situation on this bag isn’t anything special; it has two outer pockets and one mesh zipper pocket on the inside to store valuables while you play. There’s also a rear compartment for scorecards, pencils, rulebook and snacks. Putters are accessible from a snug outside pocket. Bottom line: this bag is rather basic, but a great value for the price (it’s the least expensive bag in this review). I’d recommend it for someone who isn’t afraid to play with just the basics at their disposal. All right, that’s all for this review. I hope you had fun and learned something that will help you make a decision about your next disc golf bag. A disc golf bag can make playing the game a lot easier and more fun. They’re definitely a solid investment for someone who plays often or competitively. The only real question is how to choose from among many options. Here are a couple of qualities you want to look for to determine which bag is right for you. The most obvious function of a bag is to hold discs. Naturally, the bigger the bag is, the more discs you’ll be able to fit into it. The largest bag in this review can hold up to 18 discs at a time, which is quite a lot. As you can imagine, more isn’t always better. The larger a bag is, the more it weighs. This is especially true when it’s full of discs. A set of 18 discs can weigh up to seven pounds, which might not sound like a lot, until you’re carrying it for miles over rough terrain. It’s not that you should be wary of buying a large bag; it’s just something to keep in mind. On a related note, some bags come with pouches specially designed to hold beverages during a game. Disc golf, after all, is a game of leisure; why shouldn’t you have a couple beers (or water/sodas) out on the course! All of the bags reviewed here have a mesh space in which you can store drinks (except for the Nutsack). 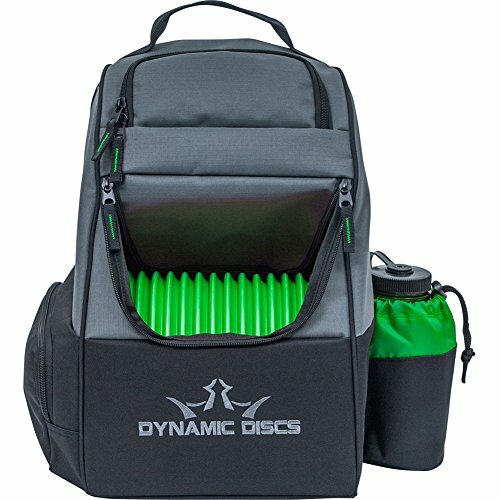 Some of the larger disc golf bags even come with coolers. That seems like a bit of overkill in my opinion. Most disc golf bags come in either a shoulder strap or backpack design. Each style has some advantages associated with it. Should strap bags are easier to access on the course, and don’t have to be taken off during gameplay. However, some people find playing with an unbalanced load a little off-putting (myself among them). They’re good if you like to travel light on the course and don’t like the fanfare of taking a bag off at the beginning of every hole. Backpacks, on the other hand, usually offer more storage than shoulder strap bags. They are also more balanced, if worn correctly, and allow you to carry more weight more naturally. A should strap bag might be a good idea if you’re playing with friends and only one of you wants to wear a bag. They’re also ideal for disc golfers who prefer to play with a large arsenal of discs at their disposal. Some bags will also be waterproof, either from the inside, outside, or both. The advantages of this are pretty obvious. Unfortunately, it isn’t a given that any bag will be waterproof. Some are made from materials that don’t lend themselves to getting wet. Depending on how likely you are to be playing in wet conditions, you may want to consider this factor before buying a disc golf bag. 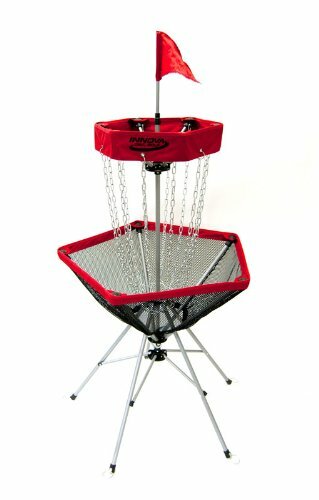 I hope this guide was helpful for finding the best disc golf bag to fit your needs. If you want to comment or recommend a bag I didn’t include, please use my contact form to get in touch. Most importantly, get out there and play some disc golf and have fun!